Other: Gurkan Uygun was born in Izmit Yarimca as a son of a worker father. His family is of Georgian descent. Gurkan Uygun moved to Istanbul in 1993 after graduating from high school. He was interested in theatre while he was going to high school. He took theatre lessons at Dormen Theatre. He took part in various theatre plays at Dormen Theatre for 7 years. Gurkan Uygun became very popular with his role as Memati at popular Turkish Drama Valley of Wolves (Kurtlar Vadisi). He took part in Valley of Wolves (Kurtlar Vadisi) for almost 10 years. Biography: Reha Ozcan went to Kartal Anatolian High School and graduated from Mimar Sinan University State Conservatory – Theatre in 1987. After then, Reha Ozcan started his theatre career at Trabzon State Theatre in 1987. He worked at Istanbul State Theatre during 1990-1991 and Antalya State Theatre during 1992-1993. He worked as theatre director at Akdeniz University and Antalya Municipality Theatre. Apart from theatre, Reha Ozcan also worked at television and cinema sectors. 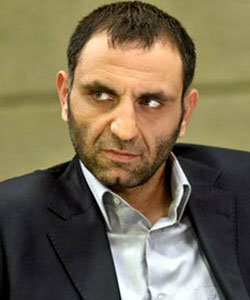 Reha Ozcan’s brother is also an actor named Serhat Ozcan. Biography: Ozan Guven’s parents are of Bulgarian descent. He was born in Germany after his family migrated from Turkey to Germany to work there. His family returned back to Turkey in 1981. Ozan Guven graduated from Mimar Sinan University, he took acting lessons from Izmir Municipality Conservatory. He worked at Sahika Tekand Theatre. Ozan Guven made his debut with his role in popular Turkish drama Second Spring (Ikinci Bahar). He got married Turkan Derya whom he met while shooting Second Spring.